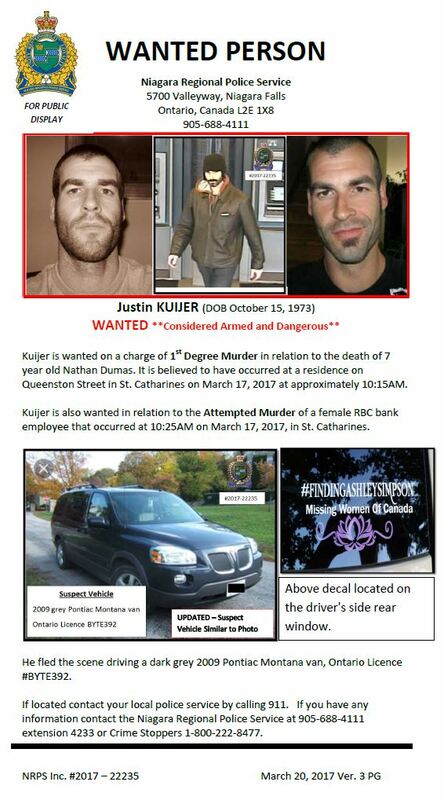 The Niagara Regional Police Service (NRPS) we will be seeking a Canada-Wide Warrant for the arrest of Justin Kuijer. 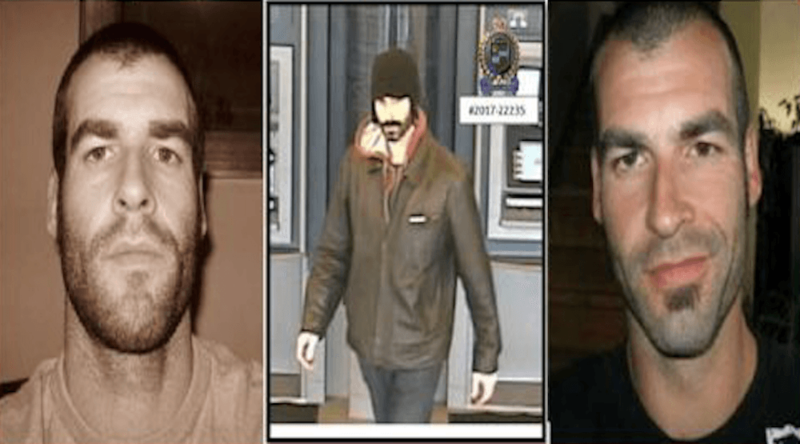 The warrant will be for 1st degree murder in relation to the death of 7-year-old Nathan Dumas, Kuijer’s step son, and attempted murder of a RBC bank employee on March 17. Police warn the public that Kuijer is considered to be armed and dangerous, and should not be approached. Police say the public should be reminded that the decal can be removed and they should not limit their attention to just that feature of the van. Anyone knowing Kuijer’s whereabouts or the van should contact their local police by calling 911.